NASA’s leading “climate prophet” says the Arctic will be ice free within six months. But will Oklahoma be ice-free? 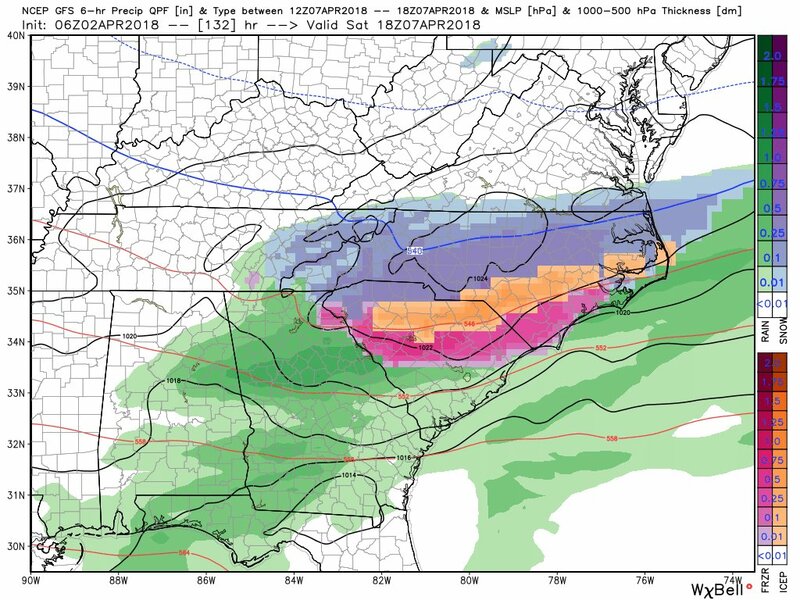 Bastardi’s Weatherbell saying South Carolina may get snow this coming weekend. There goes my cherry blossom for next week! The forecast for us in New Hampshire this Friday is for 3-5″ of wet snow. Temps won’t get above 50 for the next ten days, according to the forecast. Where’s Spring?? 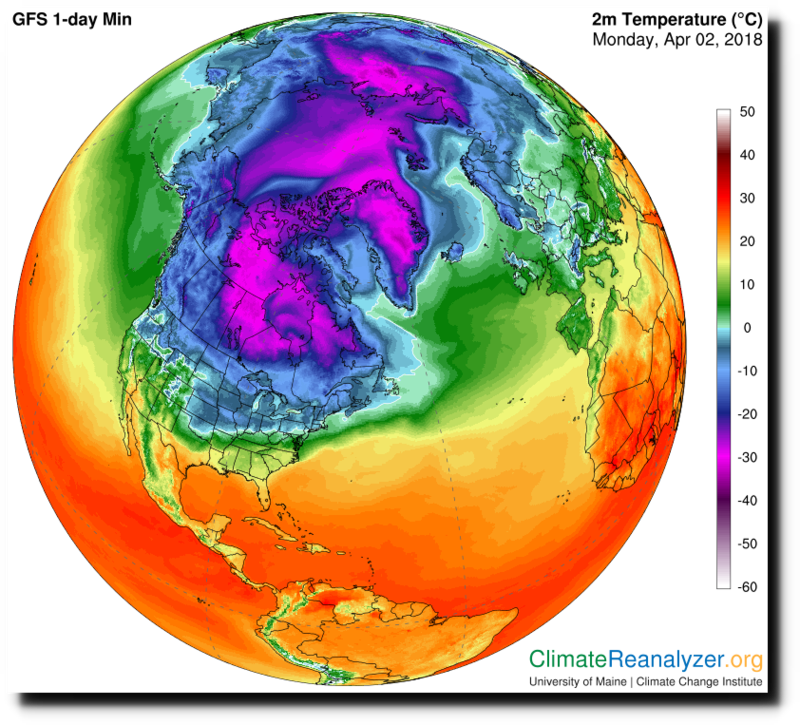 Arctic warming is screwing up the jet-stream and polar vortex. Expect more of the same. According to Dr Roy/UAH, Arctic anomaly is -0.3C for March 2018, so according to that theory, things should be ‘unscrewed up’, jet stream perfectly circular, and vortex tight. When did Roy first add the “Arctic” column? Oops.. looks like he might have renamed “NoPol”? Do you pull your horse with a wagon? Climate is changing…more extremes. Fake hiatus ended. Interesting times. Climate always changes. So what? There is nothing unusual or unprecedented about our climate or how we got here. 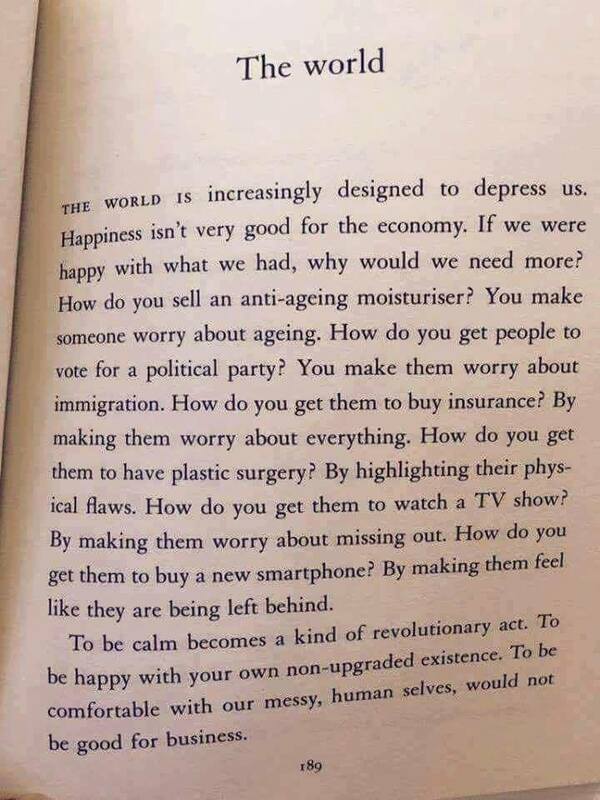 Do you panic when the Sun rises? Terak doesn’t comprehend El Nino transient. Arctic not warming except for El nino transient.. All gone now. Fake hiatus ended, but real one is still going. Andy, what’s the rainfall situation been like for you? I’ve been following the BOM for a while but it’s nice to hear first-hand accounts of what’s going on “down under”. Was dry in the Hunter for a while (like that never happened before) Great rains a couple of weeks ago. Pretty much standard WEATHER . Talking to friend who owns a winery, reckons this year’s vintage of Hunter reds will be a ripper in quantity and quality. 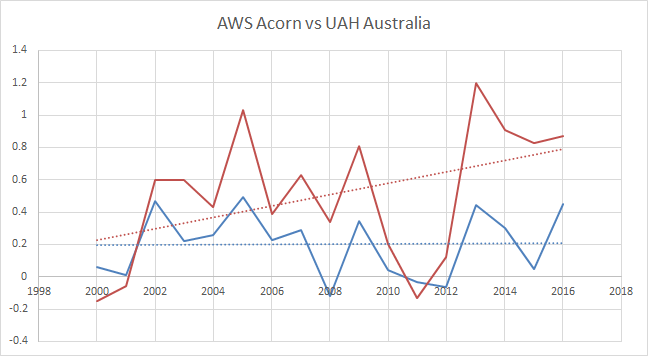 I wouldn’t trust BOM too much for temperatures, There has been a trend difference with satellite data since they started using AWS 1 second data (how anti-science is that) and of course their manic homogenisation routines that smash any real data. JoNova has a good write-up on that at the moment. 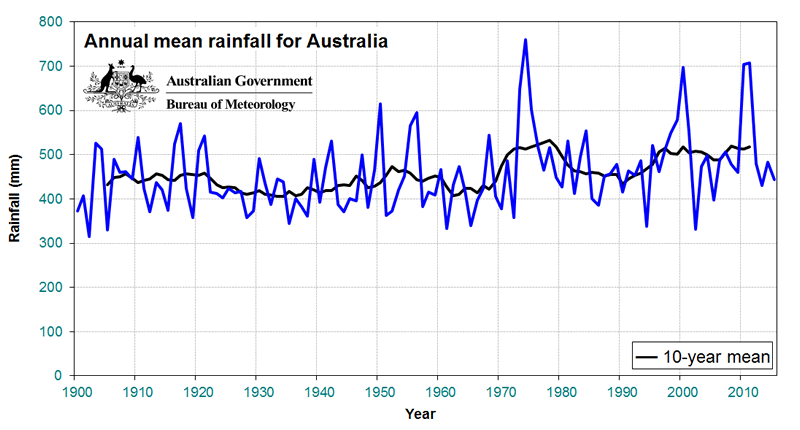 Even SW Western Australia (Perth region), which has definitely seen decreasing rainfall over a couple of decades, has had a pretty moist year. 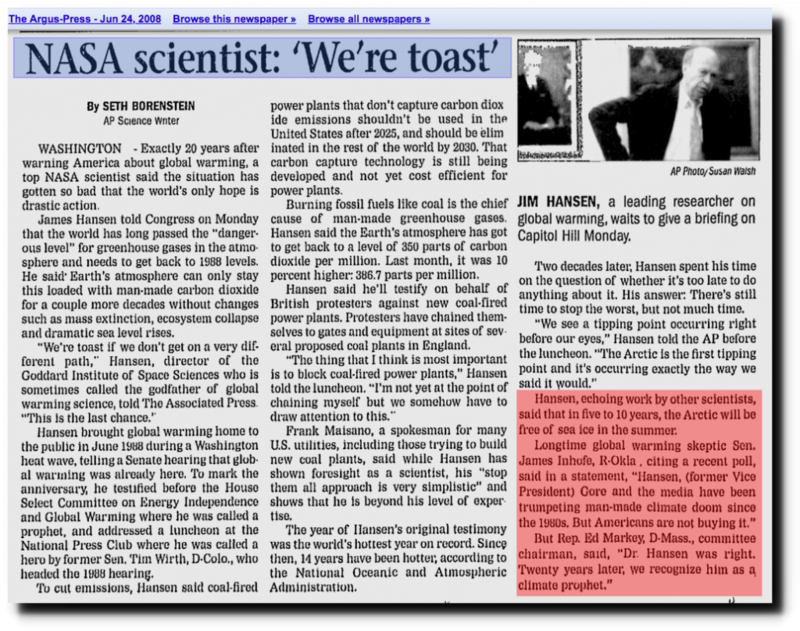 James Hansen is the most well-paid prophet presently on earth . Changing the goal-posts is not sportsmanlike , but proper scientific program considering the statements of this whacky weasel . Even if the arctic freezes to a record in the coming years he is capable to blame a changing freezing-point of ice caused by ….. global warming . He is the perfect example of what will go wrong upon putting lies ahead of real observations. 25 years ago the Russians could not cross the Bering Straits on snow machines because of open water.